Ballet can be tricky. It requires flexibility and grace to perfect the different positions and moves that this beautiful dance involves. 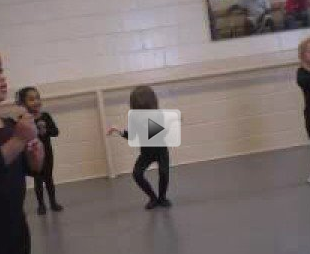 In this video, one young girl has a difficult time in first position. No matter how hard she tries, she just can't seem to get her feet to stay how she would like. Take a minute to watch the motivation and determination this girl has to perfect first position.